*As a ‘Closed’ group, the above Event link will only load for Facebook group members but you’re still welcome to attend! Been listening to the TAZ experimental arcs? Interested in roleplaying but D&D isn’t quite your thing? Don’t have time for traditional campaigns? Just want to try something new? Interested in trying out roleplaying? Don’t have time for traditional campaigns? Just want to try something new? 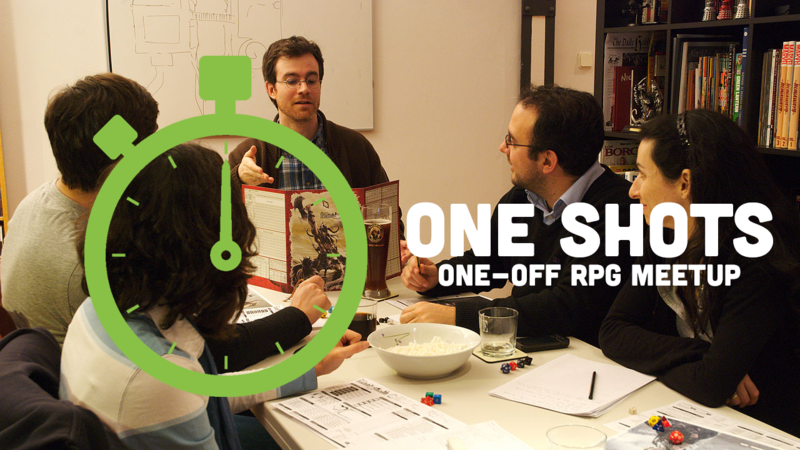 One Shot RPGs highlight the diversity of RPGs in monthly one-shot games. Fantasy. Cyberpunk. Sci-fi. Superheroes. Westerns. Post-apocalyptic. Crime. Supernatural romance. Games without dice. Games without combat. Games without a Game Master. Games where everyone is John. EVERYONE IS WELCOME, NEW PLAYERS AND NEW GMS STRONGLY ENCOURAGED. Many of the games we play are quick and simple to learn and have rules that fit on one to five pages. If you’d like to run a game, just post in the comments below. Bluebeard’s Bride: An investigatory horror tabletop roleplaying game based on the Bluebeard fairy tale. Bluebeard’s Bride produces adult feminine horror fiction like Crimson Peak, American Horror Story, or The Company of Wolves, making it fun for horror fans and dark fairy tale fans alike.